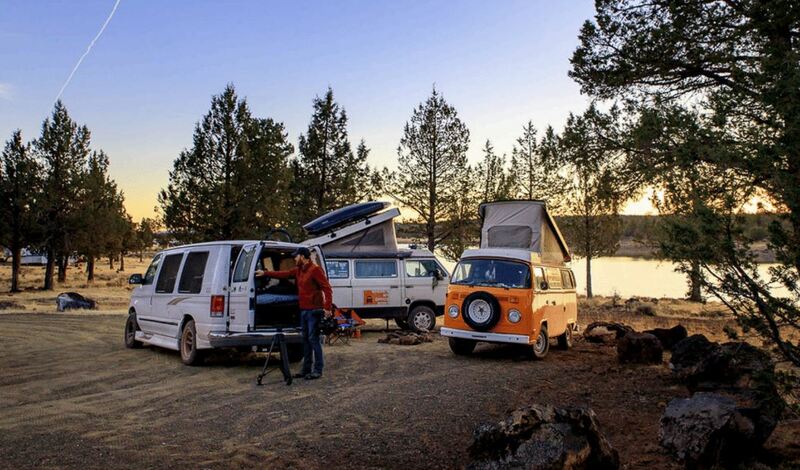 Plot – A documentary examination of the Vanlife movement that sees people eschew the traditional ideal of housing to live a more nomadic lifestyle in travelling vans. Ponderous and sometimes aimless (much like some of its subject matters, who make for nevertheless entertaining companions), The Meaning of Vanlife beautifully captures the lives of a growing community of young and old that have decided they are going to live life a little differently to what the perceived normal way of doing things are, by setting up a nomadic lifestyle of themselves and their vans on the open road, a road that could lead anywhere, at any time. It’s a fascinating worldwide movement that is undeniably growing in momentum into more mainstream culture and acceptance and documentary filmmaker Jim Lounsbury (with help from Australian cinematographer Anthony Jennings) helps bring this community to life and into the spotlight with this flighty but well-intentioned feature that may just make you pack your bags and hit the road with its eye-watering locations and communal vibe more than slightly appealing. Working in conjunction with Australian’s and coordinators of online social media sensation Vanlife Diaries (that now features over 500,000 on social media platforms) Jonny Dustow and Jared Campbell, Lounsbury is given behind the scenes access to this open and welcoming community as he traverses the beautiful seaside clad surrounds of the Australian coastline right through to the stunning American locales where Dustow and Campbell head to to meet up with the many American van-lifers that now exist. Lounsbury has created the type of documentary that feels like a polished and well-documented home movie as his film refuses to follow any real path or guideline, instead going where the vans go, meeting the people who pop-up within the community and exploring without too much of a firm intent the reasoning behind why many have chosen to enter into this community and shy away from the “social norms” that have previously been placed upon them. Many, may without much knowledge or information dismiss this community or movement as a hipster fad or perhaps even assume it’s those with no other alternative that would choose this lifestyle but Vanlife showcases that this is most definitely not the case and makes for a well-rounded showcase of how many just want to try new things, live a life more abundant and genuinely be in touch with themselves in a deeper way, away from the grindy nature that can often exist in our modern societies. This is not a documentary of revelations or mind-blowing examinations, more so a quietly observed and beautifully shot look into a lifestyle many would sadly dismiss in their ignorance. The Meaning of Vanlife is an easy to enjoy and unique feature that could just inspire viewers to take the leap in trying something new and fresh, outside of the normalities society have placed before us.